AMES, Iowa — Architectural historian and theorist Felicity Scott, an associate professor of architecture at Columbia University, will present the 2017 Richard F. Hansen Lecture in Architecture Friday, March 3, at Iowa State University. Scott’s lecture, “A Straighter Kind of Hip,” will begin at 5 p.m. in Kocimski Auditorium, 0101 College of Design. Part of the ISU Department of Architecture’s 2016-17 Public Programs Series, the event is free and open to the public. In the wake of Haight-Ashbury’s legendary Summer of Love in 1967 and the People’s Park movement in Berkeley a few years later, and in the midst of the ongoing U.S.-led war in Indochina, disenchanted California hippies did not only head back-to-the-land when seeking to experiment with alternative environments and forms of life. In June 1970 a disillusioned group from the Bay Area rented a vacant six-story industrial warehouse in downtown San Francisco and founded Project One as an urban commune of architects, artists, filmmakers, musicians, craftspeople and, in turn, video and media collectives and computer programmers. Like other aspects of the California counterculture, Project One was haunted both by war and technologies born of the Space Race, and it served as an intense environment for negotiating communal ways of life and the networks to which they gave rise. Focusing on Resource One — a group of computer programmers within the commune who remarkably acquired an SDS940 computer — along with the media collective Optic Nerve and their 1972 video, Project One, Scott’s lecture will trace how Project One served, for a short while, as a key node within the emerging communication networks of the 1970s. Moreover, it will put this late moment of the alternative culture of the 1960s into a dialog with British critic Reyner Banham, who in 1971 and with typical lyrical flair, incisively revealed the limitations of ideals of alternative networks and emergent models of participation in architecture. Together with Deborah Hauptmann, chair of the ISU architecture department, and alumnus Scott Steffes — who received a Bachelor of Architecture from Iowa State in 2003 and is now the technical design studio head at Skidmore Owings and Merrill — Scott also will serve as a guest juror for this year’s Richard F. Hansen Prize. The prize, established by Iowa State alumni Richard F. Hansen and Barbara Hansen in 2004, is awarded annually to the winner(s) of a design studio competition held in conjunction with the lecture. Nine student teams will present projects completed in fall 2016 third-year architecture studio courses taught by Associate Professors Mikesch Muecke and Dan Naegele, Assistant Professor Firat Erdim and Lecturers Leslie Forehand and Sungduck Lee. Scott is an associate professor of architecture, director of the PhD program in architecture (history and theory) and co-director of the Critical, Curatorial and Conceptual Practices in Architecture Program at the Columbia University Graduate School of Architecture, Planning and Preservation. 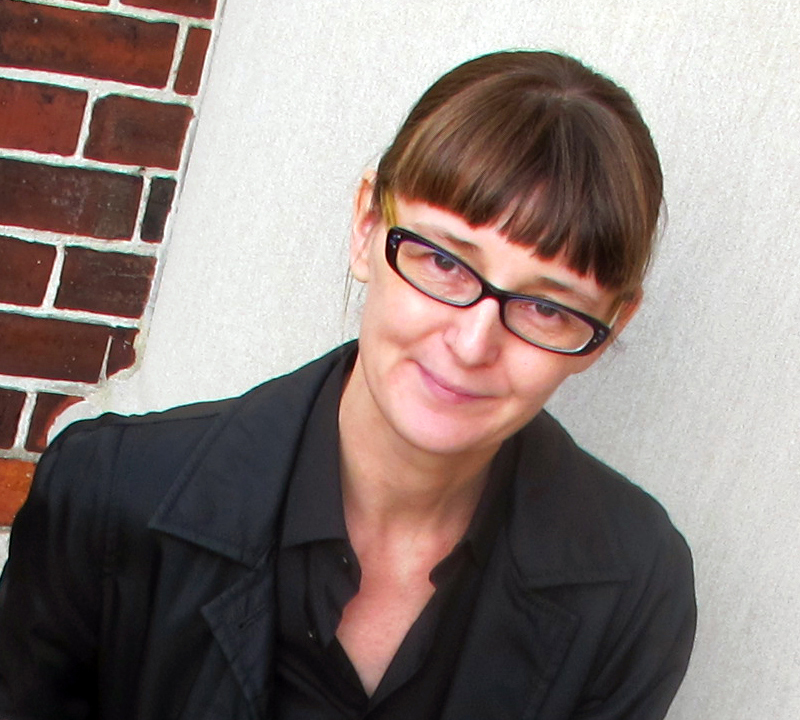 Her work as an architectural historian and theorist focuses on articulating genealogies of political and theoretical engagement with questions of technological and geopolitical transformation within modern and contemporary architecture, as well as within the discourses and institutions that have shaped and defined the discipline. In addition to publishing numerous articles in journals, magazines and edited anthologies, Scott is the author of Architecture or Techno-Utopia: Politics After Modernism (MIT Press, 2007); Living Archive 7: Ant Farm (ACTAR, 2008); Outlaw Territories: Environments of Insecurity/Architectures of Counter-Insurgency (Zone Books, 2016), which investigates architecture’s relation to “human unsettlement” and territorial insecurity; and Bernard Rudofsky in the Empire of Signs (Sternberg Press, 2016). She also is a founding co-editor of Grey Room, a quarterly journal of architecture, art, media and politics published quarterly by MIT Press since fall 2000.